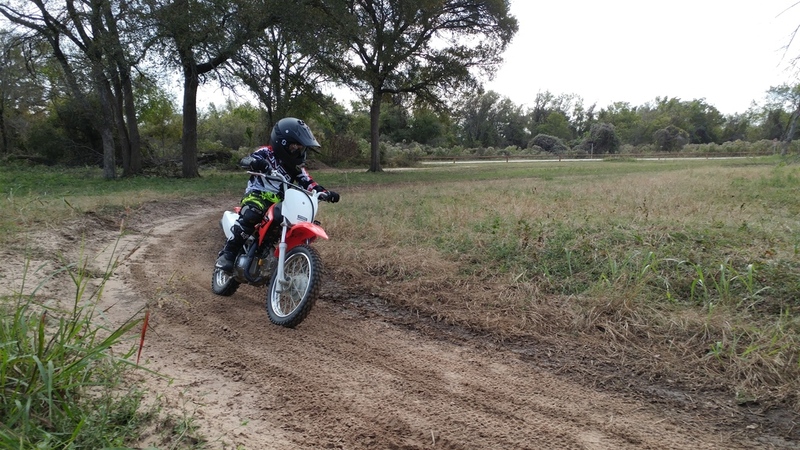 Today we made some good progress with Jakob's motorcycling. 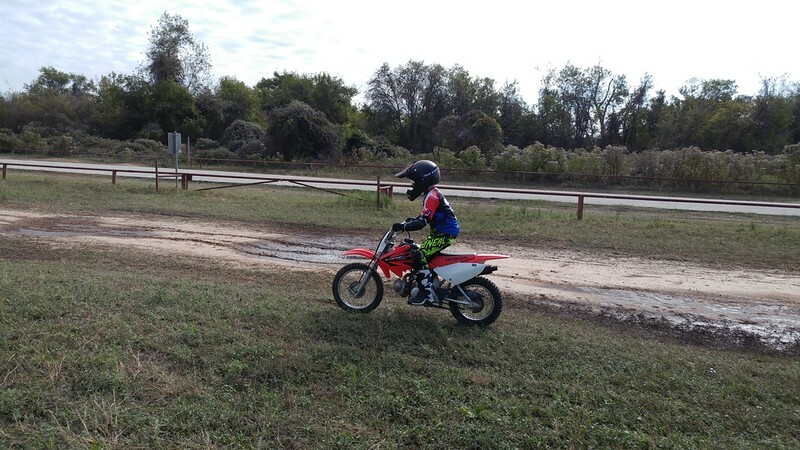 We got in a lot of seat time and he's looking good out there, gaining some confidence, and having a whole lot of fun. So much fun he was singing loudly while riding out there. Big progress, he's starting to stand up and ride all on his own. 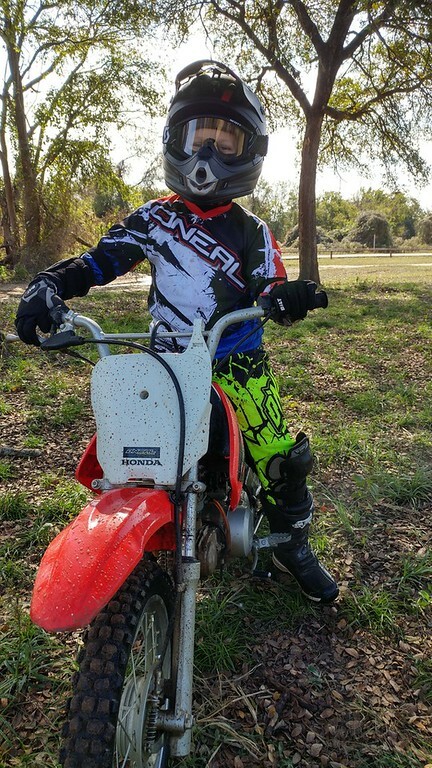 I've been after him to start standing up on his bicycle and he doesn't have the confidence to do it, but started doing it on the dirtbike without any prompting from me. I like this shot of him railing a turn. 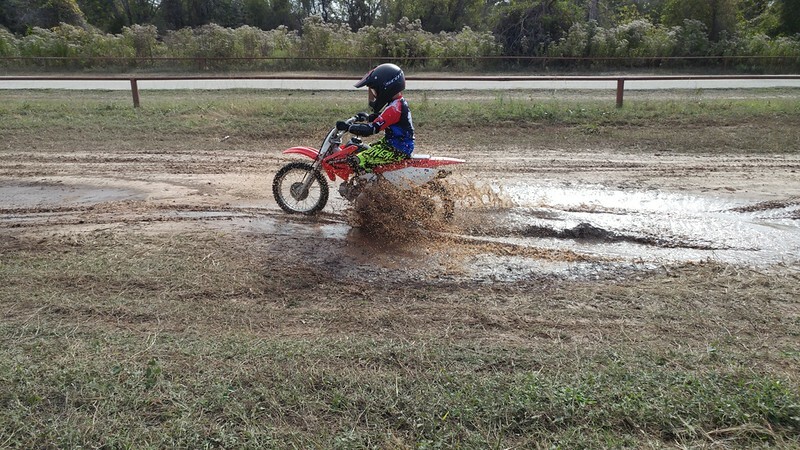 Then we found out that splashing mud puddles is fun. He rode and rode and rode once he figured out he could do that. You can see his huge grin inside his helmet in this shot. All in all a great day. The weather was fantastic and we had the place all to ourselves for about two hours before the next kids showed up. All the kids were great out there riding around the different skill levels, including the two kids who showed up on matching Honda's and were seriously fast out there.